You can book Sure Foot’s Jonah McDonald for a storytelling performance with your group. Jonah performs at schools, churches, libraries and community centers, with scout troops, around campfires, at birthday parties, and at many other venues. Jonah enchants audiences with trickster tales and folktales from around the world, as well as stories of adventure and of his childhood. Whether he’s performing around a campfire, at a school library, or in a packed auditorium or theaters, Jonah’s stories and infectious energy delight groups of all ages and sizes. Filled with enthusiasm and humor, Jonah’s stories make you feel like you are on an adventure. Jonah has been selected to be a repeat performer at the Southern Order of Storytellers Storytelling Festival and Atlanta Tellabration! shows. 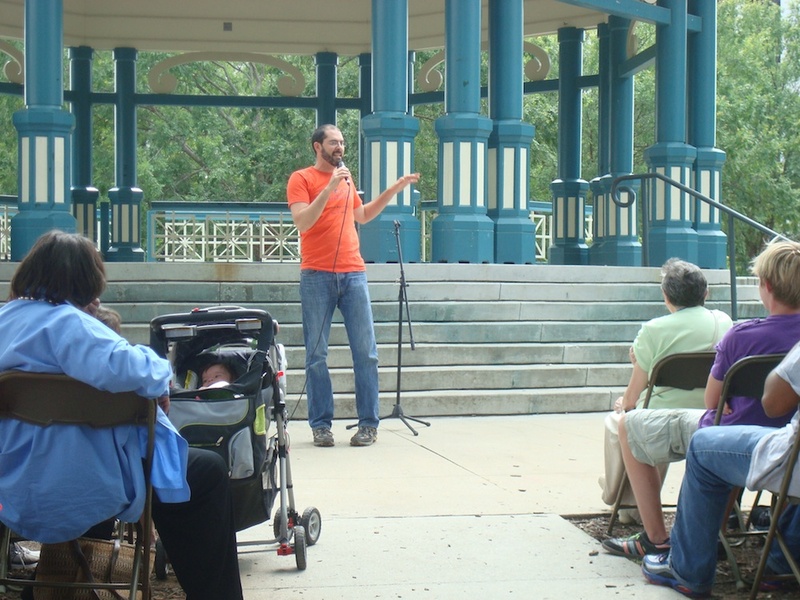 Jonah is a seasoned entertainer whose storytelling has been featured on Atlanta’s NPR affiliate station, WABE 90.1 FM. He founded the Stories Squared concert series in Decatur and has served on the board of the Southern Order of Storytellers. 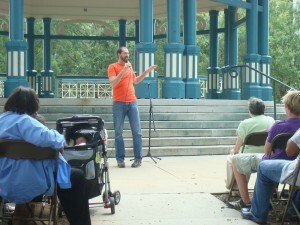 Jonah has performed at elementary and middle schools across the state of Georgia and leads storytelling workshops for youth and adults. He does all of this while running the adventure guide company, Sure Foot Adventures, and writing a hiking guidebook of intown-Atlanta trails (to be published in spring 2014). Click here to view a list of some of Jonah’s storytelling programs.